XXVII, 943 p., 11,7 x 17,5 cm. 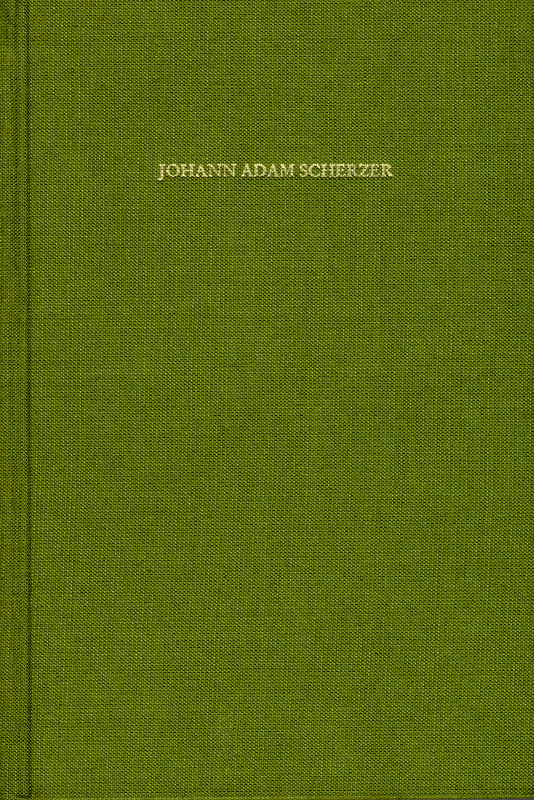 The Leipzig professor of philosophy and theology Johann Adam Scherzer (1628–1683) begins by presenting complete reprints of several older lexicons of terms containing definitions and basic classifications (Distinctiones) of the philosophical concepts and then adds (Axiomata), which are arranged by subject and explained, along with methodical instructions on the technique of philosophical debate. The ›Vade mecum‹ is a useful instrument for understanding 17th and 18th century philosophy and is itself evidence of that late phase of scholastic metaphysics. The reprint provides the text, of which five editions were published between 1654 and 1704, in the last expanded edition published in Scherzer’s lifetime in 1675.